Your team can say goodbye to manual updates and hello to supercharged team productivity, with MeisterTask and new Zapier for Teams. 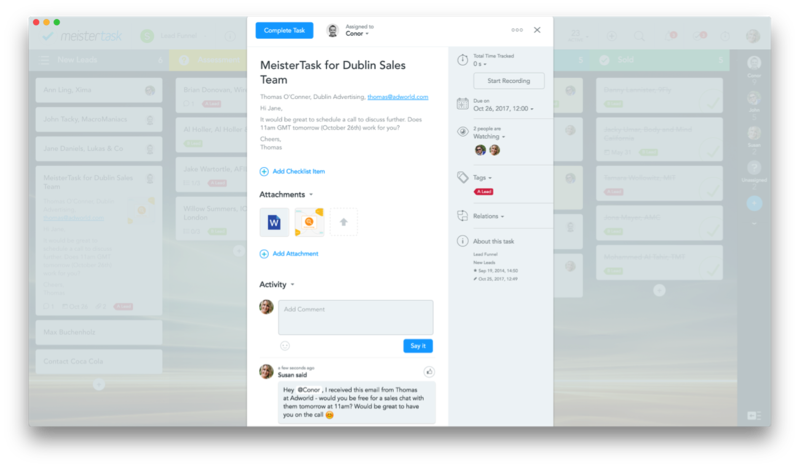 Following the latest release from app automation platform Zapier, it’s now easier than ever to set up powerful workflow automations with MeisterTask and share these workflows with your teammates. 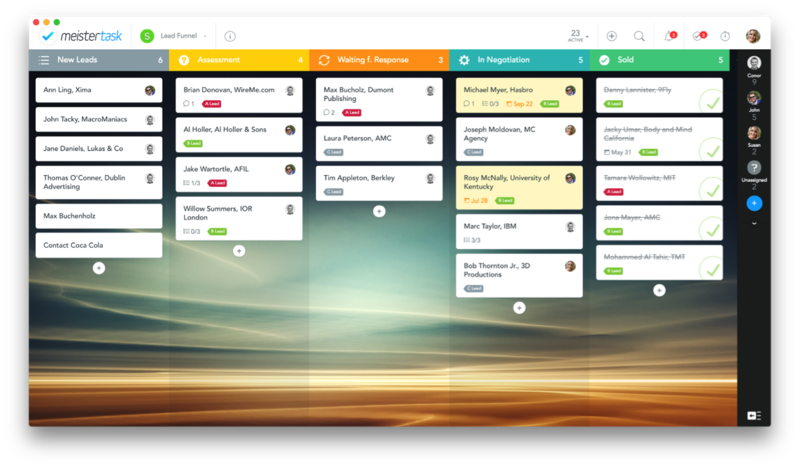 Companies all over the world are already using MeisterTask to manage their team’s tasks, projects, chats and deadlines, all in one place. And, with the help of Zapier, these teams can now connect MeisterTask with 750+ apps via workflow automations, or in their lingo ‘Zaps’. Need to create a follow-up task, every time a sales query enters your inbox? No problem. Want to post an automated congrats GIF in Slack, when your marketing team completes a campaign? Zapier have you covered. 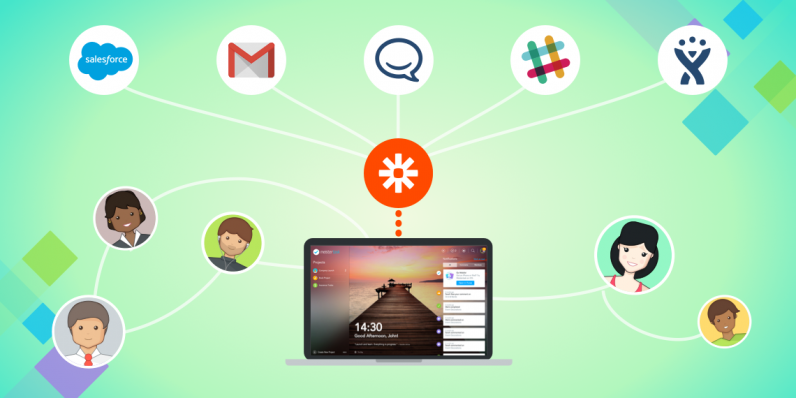 With Zapier for Teams, you can now manage your organization’s workflows from a single centralized account. 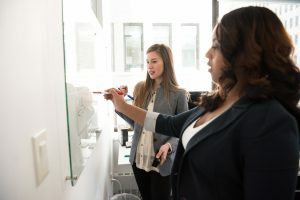 Share data from connected apps, enabling team members to access tools via their Zaps, without needing individual login credentials. 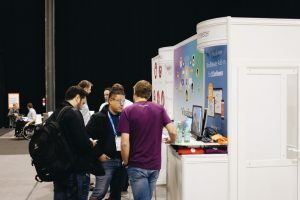 What’s more, a Zapier for Teams account unlocks a number of premium services offered by Zapier, including access to enterprise favorites such as Salesforce, Stripe, PayPal, Facebook Lead Ads and Microsoft products. You can then manage all leads and sales in one place with no need to manually copy contacts across. 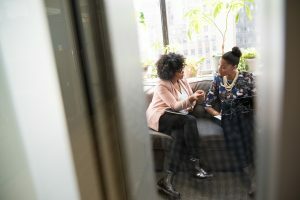 Communicating internally via chat channels instead of via email can save your team a lot of time. 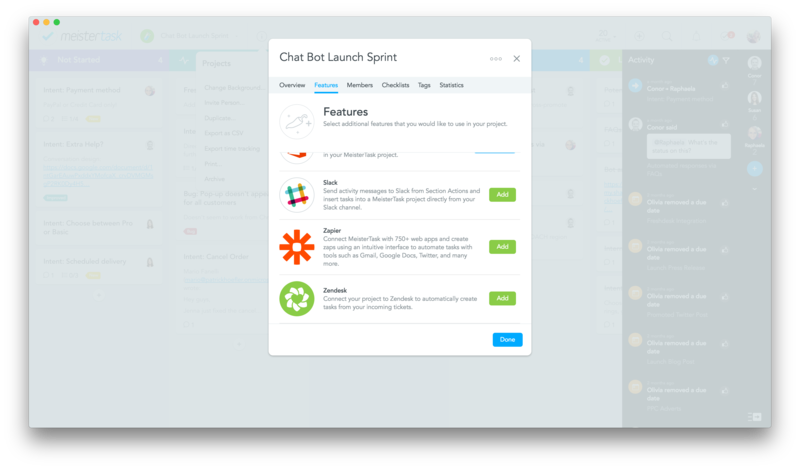 Plus, when you connect MeisterTask to chat channels via Zapier, you can save even more. 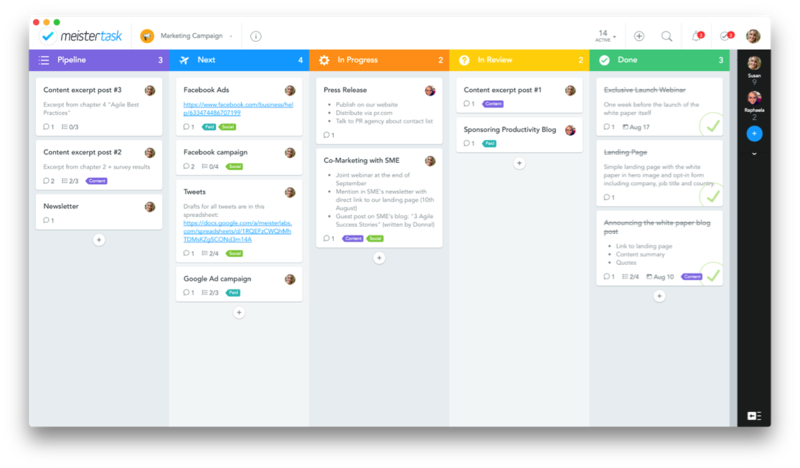 Via the Slack and HipChat Zaps, you can keep your whole team in the loop by posting MeisterTask project progression to your chosen chat channels. With either approach, you can update your team on a periodic basis, without lifting a finger. Via Zapier, you can then use the MeisterTask to Google Sheets Zap, to collect all campaign data in one place. 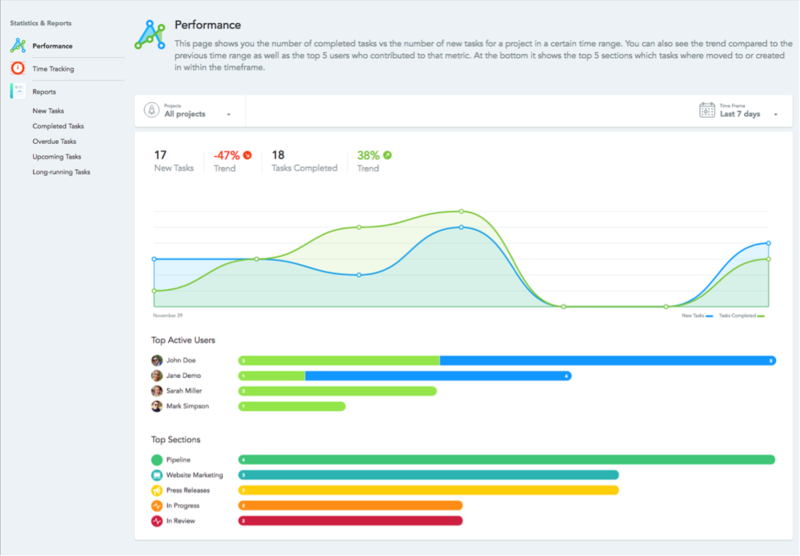 Other performance metrics, such as those taken from Google Analytics and Amplitude, can then be added alongside these figures, to assess the campaign’s success. To help stay on top of emails, teams can set up Zaps that automatically turn labeled Gmail messages into tasks in the designated MeisterTask project and section. For example, you can set up a Zap whereby if you label an email with a ‘sales’ tag, a task will automatically be created in the ‘Request from client’ section of your CRM MeisterTask project. The task will be named after the email subject line and the task notes will feature the body of the email, alongside the client email address to get back to. You can set yourself a deadline for the task too, to ensure you get back to them in good time. Within the Statistics & Reports area of MeisterTask, teams can gain insight into team productivity, including where things have been going well and where tasks are being held up. 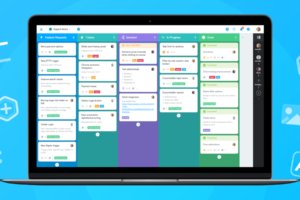 Based on all project data, team members can view which tasks are taking the longest, and which tasks are overdue, coming up, or have been completed. 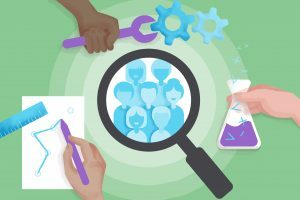 Team members can also track the time spent on each task to generate even more insight. This insight can be added to further using the Task History feature within Zapier for Teams, which allows you to track the history of all tasks completed through your shared team account. To access Zapier for Teams, you’ll first need to create a Zapier account, if you don’t have one already. To do this, you can either sign up for a free account and then upgrade, or visit zapier.com/teams/ to create your team. If choosing the latter, Zapier will create the account for you, setting you as the owner of your team, before requesting your billing information, name, and team logo. It’s then down to you to invite your teammates and transfer any existing Zaps to your shared Zap folder. 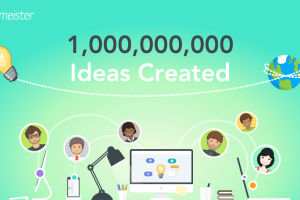 Everyone on your team will then have access to view, edit, or copy your newly shared workflow. 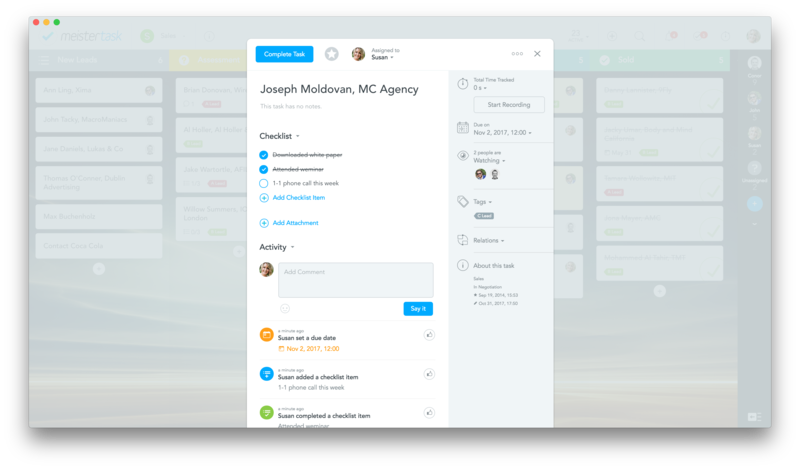 We’re particularly excited by this Zapier for Teams update because we have a big announcement that ties in perfectly – MeisterTask Business: the new plan for enterprise teams. 24/7 priority support from our customer team, meaning your teamwork won’t be held up if an issue arises.